The methylation cycle, also known as the “one carbon cycle” is a biochemical dance of nutrients. A dizzying array of material has been written on methylation cycle blocks, and how to lift methylation cycle blocks through the use of nutrient therapies. What is first essential to understand is that biochemistry is what matters the most, not genetic testing. A gene test can be most useful for possibly helping to guide a nutritional therapy, but not to create one independently. It certainly is a possibility that key methylation gene mutations can trigger biochemical problems. Gene mutations are due to an aberration, or a “switching” of the pairing of the nucleotide bases which make up gene SNPs. If a person’s nucleotide pairing is mismatched, then the enzyme that is copied from the SNP has a reduced capacity to function. A double switch of nucleotides is a “double mutation”, referred to as “homozygous”. A single nucleotide switched is called a single mutation, or “heterozygous”. What matters the most is your body’s various biochemical activity. The capacity and amplitude that certain biochemical pathways possess in order to operate can certainly be influenced by heritable gene status. If a key gene mutation in a biochemical pathway exists, especially if homozygous (+/+), the corresponding enzyme that is functioning in certain biochemical pathways may not work at an optimal rate. This can and does result in problems. By knowing your genetic configurations, its possible to gauge the likelihood of a problem arising in some biochemical pathway that is related to that gene. Take for example MTHFR C677T, +/+ double mutations. The reason why the literature identifies the higher correspondence to certain diseases such as cancer, occlusive vascular disease, Alzheimer’s/dementia and problems related to blood clotting, to carriers of this mutation, is because the enzyme that is encoded by this gene variant has a significantly reduced capacity to function with double mutation status. Consequently, the by-product of that enzyme, “5-methylene tetra hydrofolate” likely has the tendency to be decreased, especially under certain circumstances. Because of this key defect, other methylation cycle enzymes may be affected as well. Because 5-methylene tetra hydrofolate is a cofactor in removing homocysteine, low levels of this form of folate can cause hyperhomocysteinemia. When homocysteine accumulates, especially in the thiolactone form, it causes cellular toxicity and also itself increases certain inflammatory proteins such as MMP9. This has far reaching effects on the health of the body. The ready-made solution that so many clinicians use is: “let’s just supplement with 5 methyl folate”. It certainly would be an open and shut case if biochemistry was as simple as this. But of course, things get more complicated, and this approach doesn’t usually work. Loading up on 5-methylfolate, especially if given by itself will result in neurotransmitter changes, erring on the side of elevated glutamate, and shunted serotonin synthesis. Its the reason so many people taking massive doses of methylfolate have such a high frequency towards adverse reactions. What does work is being able to implement key nutrient therapies, as well as dietary and holistic lifestyle support systems. Biochemically speaking, the bottom line is that you need to address the entire pathway, not just one enzyme. Not only that, but you need to learn your body’s own physiological priorities, the type of foods that properly fuel its unique biochemical configurations, and how to carefully select, layer and titrate certain nutrient protocols. All of these things can be done with the proper guidance and evidence-based testing and client management. Biochemical testing, unlike genetic testing tells you what is happening in your body now, today and in the immediate present. This is juxtaposed against a list of heritable gene mutations. The dizzying configuration of which makes it a literal impossibility to know what pathways are being affected and which aren’t. The other factor to consider is that just because you don’t have certain gene mutations, the enzymes that are encoded can still have diminished capacities to function due to: dietary inadequacies, certain drugs that interfere with nutrient utilization, and various environmental chemicals and toxic elements. Therefore, it is ESSENTIAL to use certain biochemical testing to “gather the evidence”, to understand the weak points, identify loss of function, and then construct meaningful and evidence-based nutritional protocols. By understanding the basic tenets of biochemistry, this type of nutritional therapy is very accessible and easy to learn and implement. Let it be known that the identification of a loss of biochemical function is not necessarily synonymous with a disease name or disease label. Its essential to recognize that biochemistry is a moving picture, not a static statue without life or animation. Below are my top picks for highly useful biochemical tests, which are used to assess biochemical function. 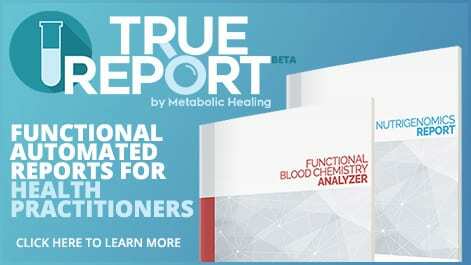 Routine blood chemistry – CBC, Lipid panel and a comprehensive and complete metabolic panel. 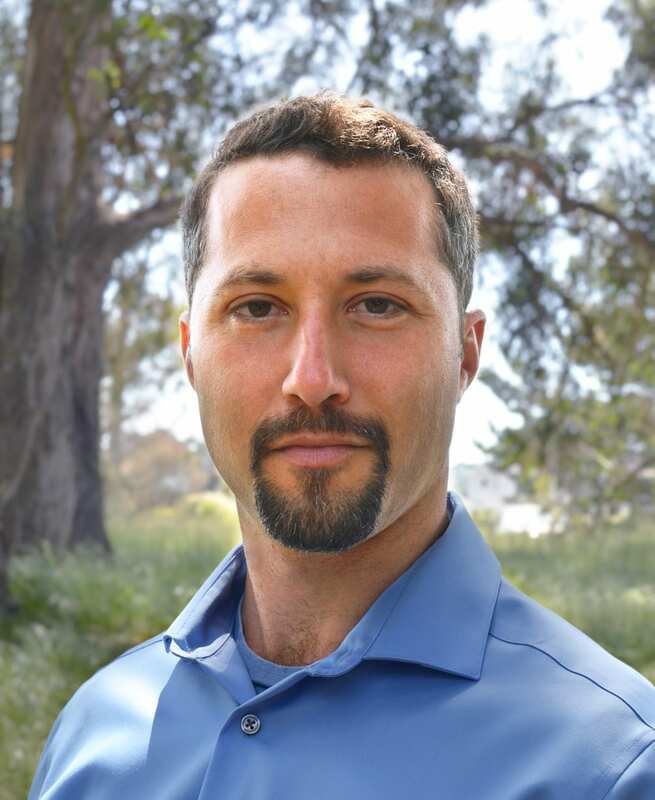 You will be amazed to learn that routine blood chemistry can yield an amazing amount of data regarding what is happening in the body right now. This is related to: blood sugar, liver function, kidney function, methylation-related nutrients, protein metabolism, antioxidant activity, glutathione status, urea cycle function, ammonia overload, inflammatory activity, and much more than this. Additional blood chemistry – Thyroid panel, TPO Ab, Zinc, Copper, Histamine, Homocysteine, B-12 and Folate. There are a lot of implications for what is happening when these markers are outside of optimal range. These are related to: methylation, brain neurotransmitter integrity, inflammatory activities, antioxidant capacities, and much more. Urinary organic acids testing – The OAT test features a large assortment of metabolic metabolites. The OAT test is one of the best tests to use to identify core nutrient deficiencies in specific biochemical pathways and processes such as: methylation, detoxification, urea cycle, neurotransmitter balance, glutathione activity, fatty acid utilization, and ATP synthesis. Plasma amino acids testing – Amino acid values can tell a lot about a lot of things. High levels of certain amino acids can tell of poor utilization due to core B-vitamin deficiencies, as well as possibly an overload of certain neurotransmitters (like dopamine, or glutamate). Low levels can tell you about which biochemical pathways may be weakened, including detoxification pathways and those related to methylation and urea cycle function. Coming in honorable mention is the hair tissue mineral analysis test (HTMA) and the urinary pyrrole test. HTMA is exceptionally good at identifying toxic metal output, mineral utilization, as well as mineral status, and the possibility of endocrine and hormonal issues. The pyrrole test can tell a lot if elevated. Namely the strong correlation between high pyrroles and Vitamin B-6, Zinc and glutathione deficiencies. Its entirely possible to learn how individualized nutrient therapies can be successfully implemented. Protocols that are created are designed to do one thing: Support and maintain the normal biological functions of the body. By knowing how to provide additional support for what the body already knows how to do, amazing things can and do take place. The role that a genetic test can play with all of this, is, in some instances to guide an “already constructed” protocol. However, genetic test results aren’t always useful for everyone in these regards. An important part of the process is understanding that protocols are best kept simple and easy to manage. Otherwise, it can get very hard to know what is causing what. The overload of supplements can also become a roll of the dice when too many are being used. In our practice, we choose to recommend individualized diet, individual nutrient isolates, certain key B-vitamins and minerals in therapeutic dosages, followed by a layering and titration system. I notice that the methylation topic is starting to get a lot of buzz on health blogs and with many functional and holistic practitioners. Most of the discussion seems to surround undermethylation and MTHFR testing. How can you tell from testing, whether a person is over or under methylated? Does genetic testing reveal this difference? Can nutrient therapies help to address this problem? Thanks for posting these great articles! Thanks for your comments. Identifying methylation status is not necessarily simple because their is a lot going on in the pathways. Genetic test status can’t be used to identify functional methylation capacity. Currently the SAMe/SAH ratio is a fairly good indicator of overall methylation capacity, primarily because 80% of methylation reactions involve methyltransferase reactions, which use up SAMe. The whole blood histamine may also be a helpful pointer to determine methylation capacity because histamine is metabolized via methyl reactions.